The ability to access business data and information on the go is a huge benefit for companies and their employees. But which is the best method of obtaining this information from your business software on a mobile device? There are both advantages and disadvantages to using a mobile app or a mobile browser. 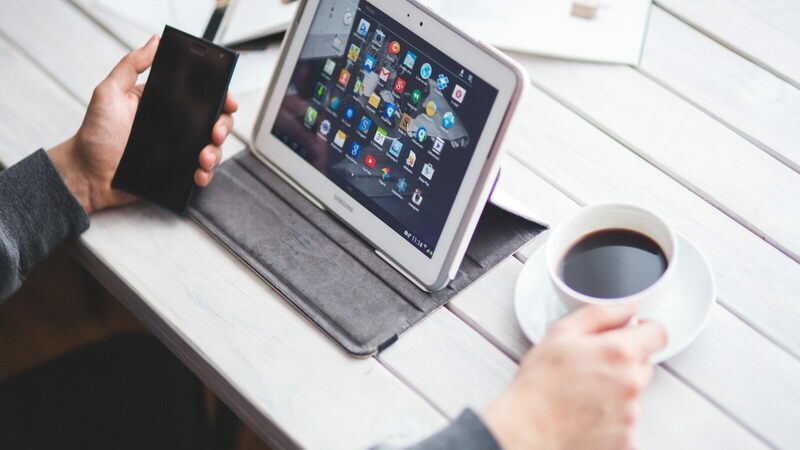 In this blog, we explore all of the pros and cons of mobile business software to help you determine which is best suited to your organisation’s needs. Firstly, using a mobile browser to access business software requires an internet or data connection, which can limit your access. It also requires network access to server hosting, but you will have full access to your business system, unlike apps that tend to have a more limited capability. Mobile browsers, or web apps, don’t require any data or software to be installed on the device, saving the user valuable storage space and reducing the risk of data loss if the device is misplaced or stolen. Importantly this also provides real-time access to business data, with no delays and in some industry sectors or business processes this may be essential. Because no confidential data is installed onto the device, there are fewer issues around using a personal or work device. Although, you might need to implement mobile business software policies to handle any improper use. Any changes to the system will be applied immediately, no waiting on updates through an app store. However, be aware that operating via a browser tends to be slower than using a native mobile app. If there is no data connection available or poor quality/coverage available, then a mobile browser may simply not be an option whereas using a stand-alone mobile app, there’s no “internal” network access required and no necessity for a data connection. Mobile apps tend to be limited in capability; they don’t provide full access to the information or complete system functionality. Also using personal devices can be more problematic because sensitive data is downloaded directly onto the mobile device. If a device is lost or stolen there is a risk that confidential information may be accessible to unauthorised people. Mobile data management provides another layer of complexity and management overhead. Native mobile apps will be more device dependent, and therefore this could restrict the organisation’s selection of hardware technology and make business change less flexible and adaptable. The application has to go through the app store for any update, which causes delays. There’s potential risk of synchronisation and app version issues, and it will also need ongoing updating and testing throughout its lifespan, which might not be possible for some businesses to maintain. However, apps tend to be more performant than browser-based mobile business software. Overall both options provide businesses and their employees with better access to information, which helps to create faster more efficient business processes, we hope that you understand all of the positives and negatives of using a mobile browser or app and this helps you choose the best method for your business. To learn about how Belfast Health and Social Care Trust implemented a wellbeing app for their 22,000+ workforce read our case study.